Many of us are looking forward to the ghosts, goblins and treats of Halloween this weekend. But while a lot of fun, Halloween is also one of the most dangerous days of the year for pedestrians, particularly children. The National Highway Traffic Safety Administration (NHTSA) routinely reports that traffic accidents involving drunk drivers and pedestrians increase on Halloween. For children, the risk of being hit by a car and killed more than doubles on Halloween, according to Safe Routes Worldwide. 1)	Stay Visible to Cars. Buy neon reflective clothing for your child and yourself. This can be a vest, an arm band or reflective tape. Also carry flashlights, one per person. 2)	Costume Check. 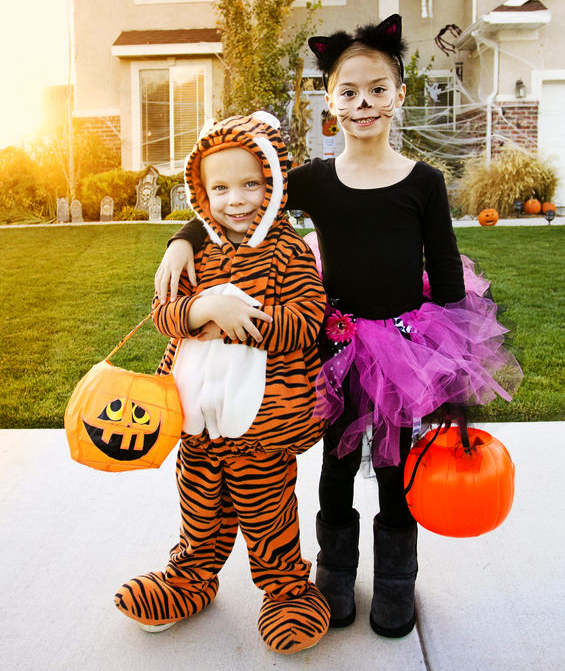 Make sure your child can safely walk without tripping in their costume and see through any masks. 3)	Stay With Your Child. Go trick-or-treating with your child and really pay attention as they walk from house to house. Tag along if they go with friends. 4)	Remind Your Child To Stay Off The Street. You probably already tell your child this daily, but really impress this upon them again for Halloween and reward them for doing it. 5)	Plan Your Halloween. Many trick-or-treaters travel between 4 p.m. and 9 p.m. This year, Halloween falls on a Saturday night, so activity may extend later and there may be more gatherings. Find out what will be happening in your community through social media or ask your local town office or neighbors. You want to know what to expect, whether you are trick-or-treating or going out to a party or weekend job. 6)	Remember the Cyclists. Watch out for cyclists as you drive or take your children trick-or-treating. Pedestrians should stay on the sidewalk, even if it gets crowded, and save the side of the road for the cyclists. 7)	Familiarize Yourself with the Halloween Route. If you are trick-or-treating in another neighborhood, take a drive through at night with your child beforehand, even if you are familiar with the area. Take note of where the roads are well-lit, the location of crosswalks, and how long the roads stretch. 8)	Look for Crosswalks. Always cross the street at crosswalks, when available. Reminder for Drivers. Try to get home early if you can, before the trick-or-treaters arrive or stay out until after they finish. Commit to travel slowly, put your cell phone away and do not drive under the influence of alcohol. If you plan to drink, find a designated driver or bring cab fare. The Boston personal injury lawyers at Breakstone, White & Gluck have over 100 years combined experience representing clients who have been seriously injured by the negligence of others. If you have been injured, learn your rights. For a free legal consultation, contact us at 800-379-1244 or use our contact form.